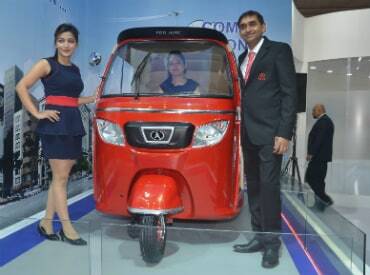 Three-wheeler maker Atul Auto on Monday reported a 13.07 per cent increase in sales at 2,890 units in December. The company had sold 2,556 units in the same month of last fiscal, Atul Auto said in a BSE filing. In April-December this fiscal, total sales stood at 31,120 units as against 30,410 units in the year-ago period, up 2.33 per cent, it added. Shares of Atul Auto ended 0.52 per cent up at Rs 459.95 apiece on BSE.